We are delighted to welcome Esinam in our Living Room. 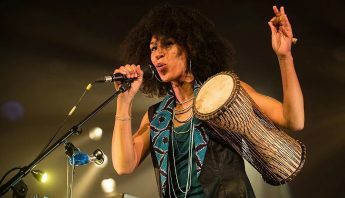 Esinam brings an African (Ghana) touch in her music. She finds inspiration in her journeys all over the world and encounters with different cultures. 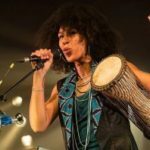 Born in Brussels, Esinam is a multi-instrumentalist for her solo set, using electronic machines to transform herself into a ‘’one-woman-band”.